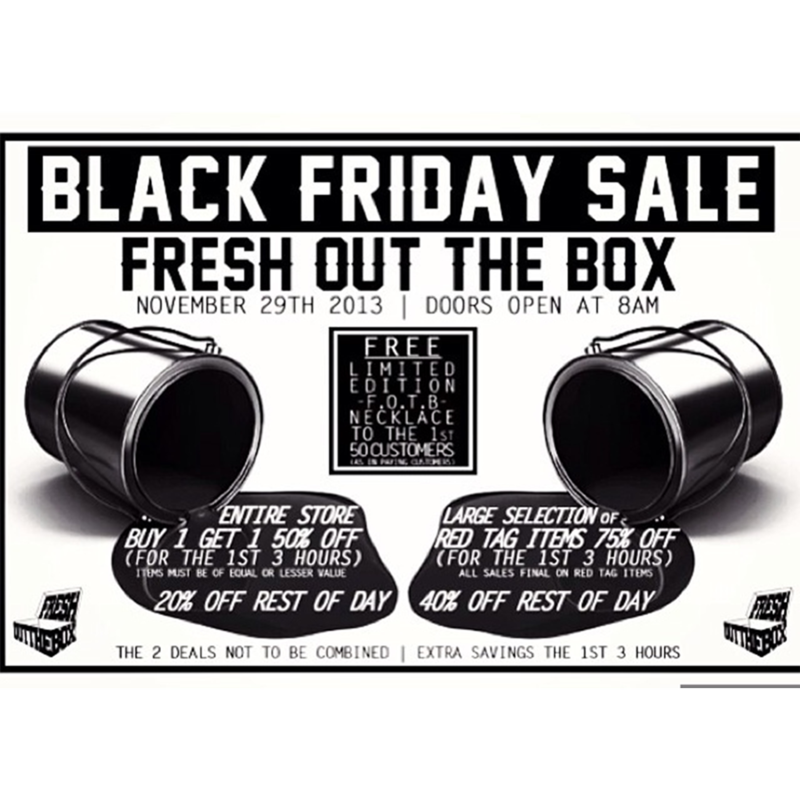 Check out the ONLY black friday sale that I support! Spinnin tunes all day! It’s TIME AGAIN… The BIGGEST Shopping Day Of The Year. 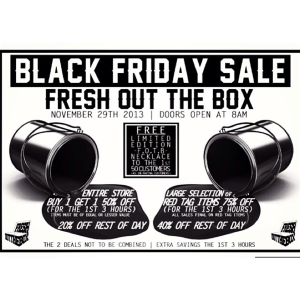 And You Know The FRESHEST Store In The Valley Will Have AMAZING Deals As Always. As MANY Of You Know By Now… WE’RE BACK, Yes We Are NOW Back Open & We’ll Be Going HARD For Black Friday, So Come Thru This Week Or EARLY On Friday! 1. 75% OFF A Large Selection Of Red Tag Items!